This ranking reflects the result of a series of studies carried out by the National Institute of Statistics of Spain (INE) about the population of all the Autonomous Communities. It shows that large cities are by far the places with highest percentages of public transportation use. 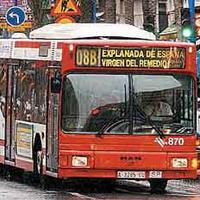 It also highlights the high use of public transportation in the Canary Islands. On the other extreme, it's very clear that in both Castilles and in Extremadura they prefer the automobile, perhaps due to the orography, the available system, and the distances they must travel.